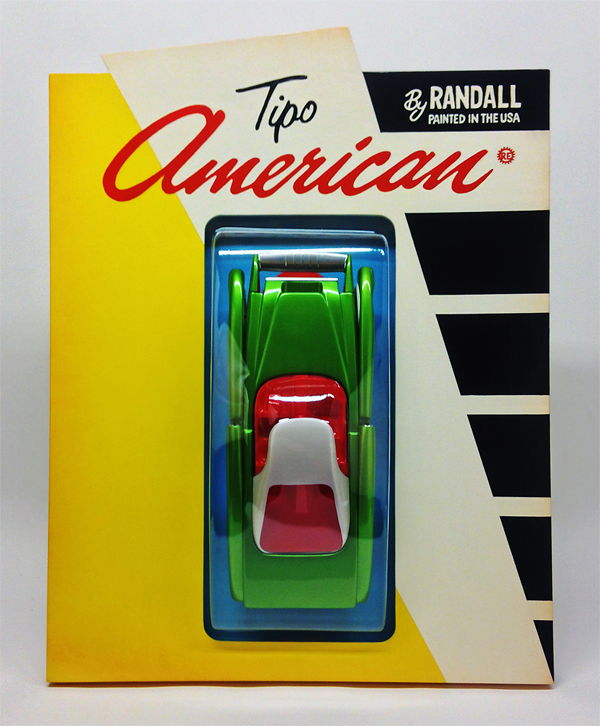 The Tipo American Toy works are attempts to create art objects that capture in material form the discovery of a seminal toy during one’s childhood. 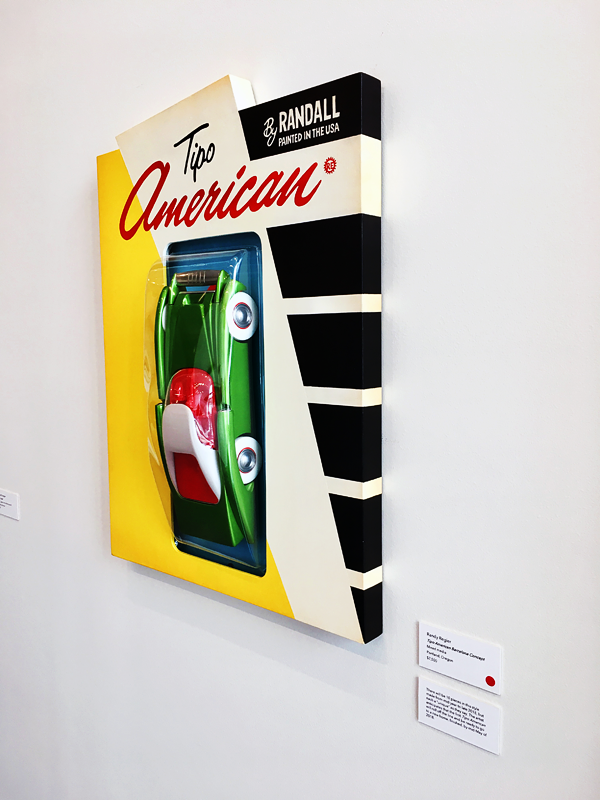 In these works I’m revisiting my first encounters with small die-cast toy cars in blister packing on graphic cards of the 1960s and ‘70s. 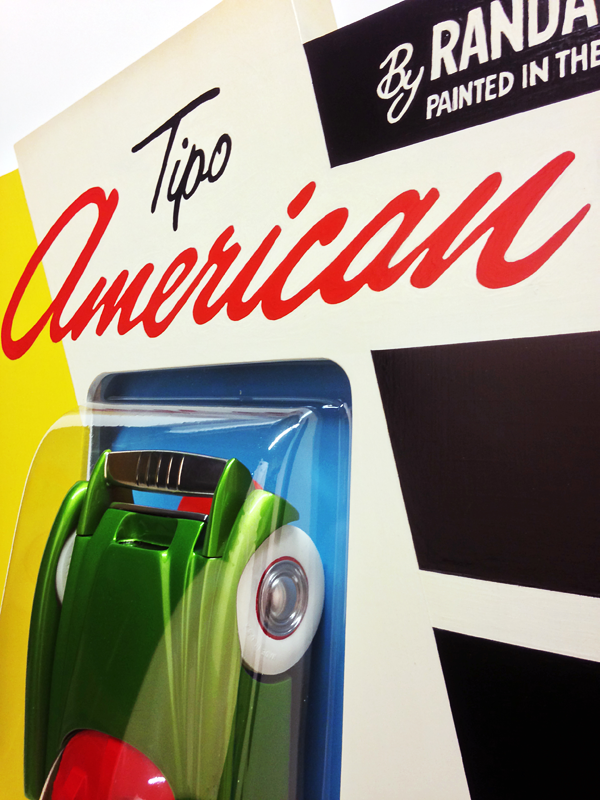 Each Tipo Toy vehicle will be made in a series (multiples of 25-50 pieces), but no two pieces will be painted the same color, thus allowing each piece to be a unique. The vehicle forms are made of cast and thermoformed plastics and finished with automotive basecoat/clearcoat acrylic-urethane finishes. The graphic panels are made of wood and painted with acrylics. 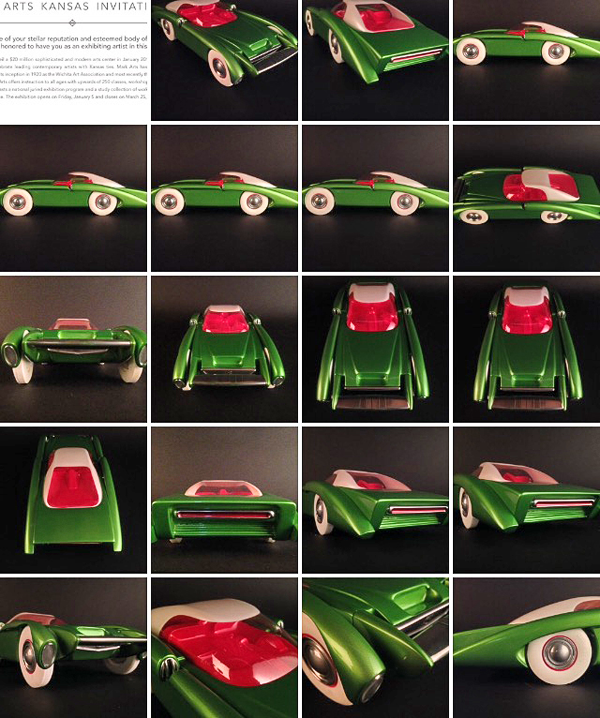 Each and every part of these works are hand-made and finished by the artist.